← Exploring Inner Space: Sound Healing Workshop THIS SUNDAY! My daughter spiked a fever while at my other daughter’s soccer game at 7PM tonight. Went straight to Lahey Urgent Care new facility and were in and out and diagnosed within minutes. All at 7:45PM. Brand new, beautiful facility, professional compassionate care. Thanks So Much! 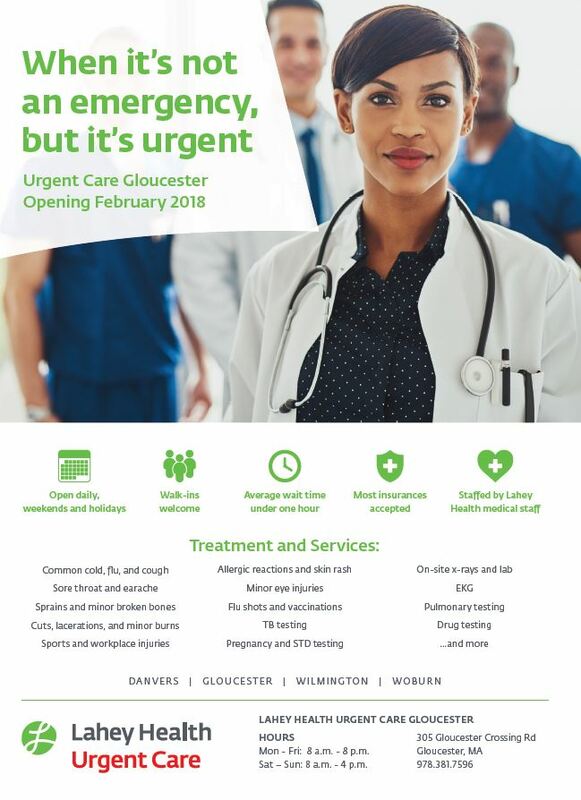 I know of a number of people that have gone to the new Lahey Urgent Care, all with favorable reports. Takes some of the strain off the E.R. for non-emergent issues. It’s linked to Lahey Healthcare electronically for easy access to medical records for those in that system. Hope both daughters were ‘healthy and well’ to enjoy their school vacation!